Going well. Good turn out by real Americans. Antifa hasn't showed up. But the police went ahead and marched the white nationalists right to the front of the monument. I have pictures. Thanks for sticky-ing I'm glad I waited a day to update because this has turned out to be a huge silent victory and I didn't realize it yesterday. And also because I was entirely spent and couldn't stay awake. I'm working on uploading pictures now. And looking for interviews my friends and others put together. 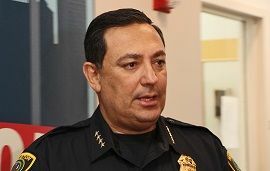 Big Art Acevedo, of Austin PD fame (now Houston Police Chief) was there snooping around making sure his side of the operation went to plan. (It did; I'll explain later) In the meantime, here's the video explaining how the event was planned that I didn't want to post beforehand just in case it got to the wrong people. Ok here we have the beautiful monument itself. On the other side is where most of the traffic (traffic circles and light rail) goes by. 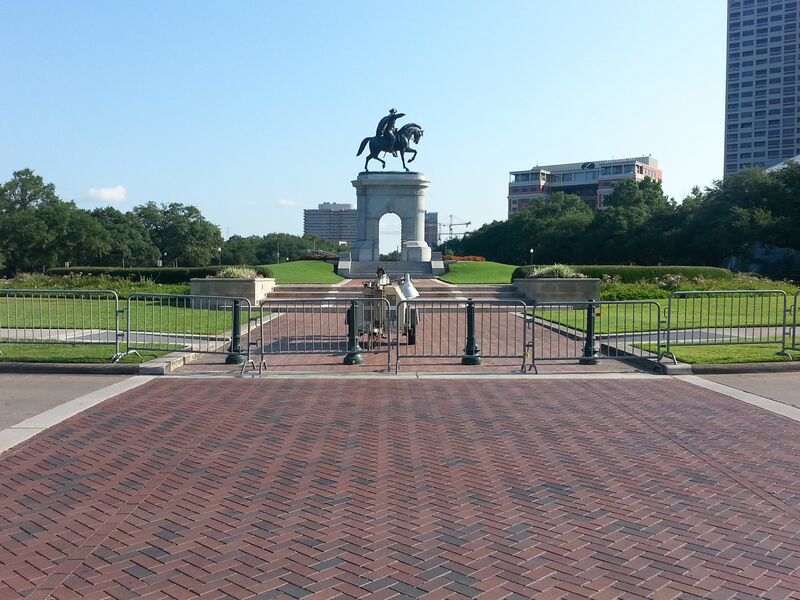 Consider this shot bearing 360 degrees in relation to the traffic circle around the monument. 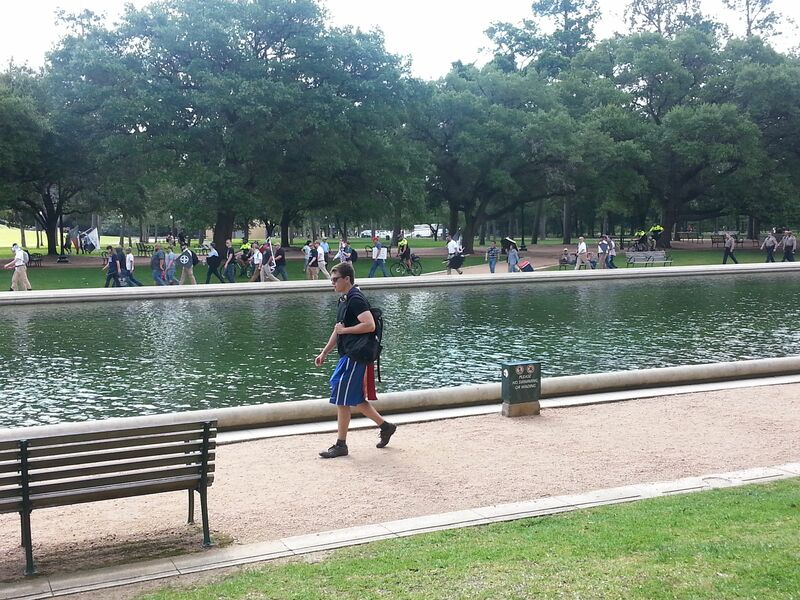 At 270 degrees was the white nationalist camp, at about 225 degrees was the This is Texas camp, and at 180 degrees (directly behind me in this picture) was the reflecting pool and the rest of Hermann Park. More to come in just a few. 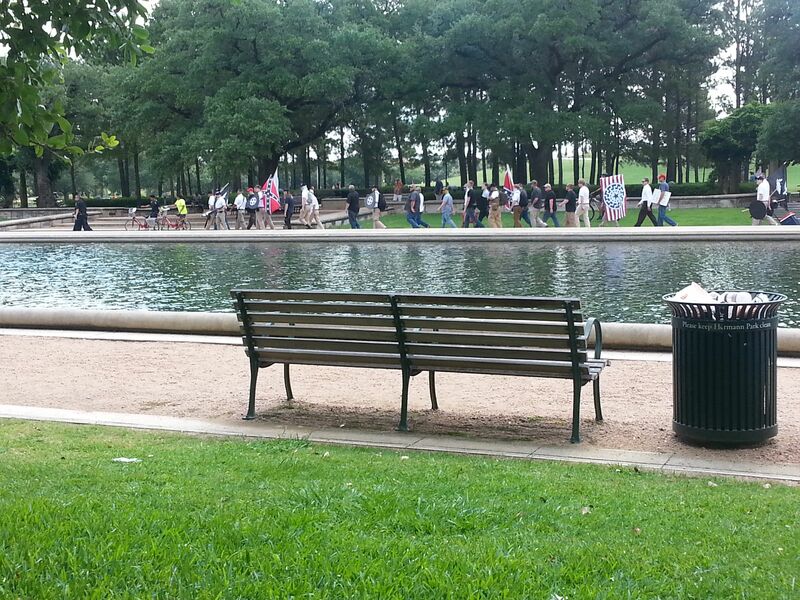 White nationalists being led by HPD (see the guy in black at the front) on the opposite side of the reflecting pool from the Texas side of the protest. 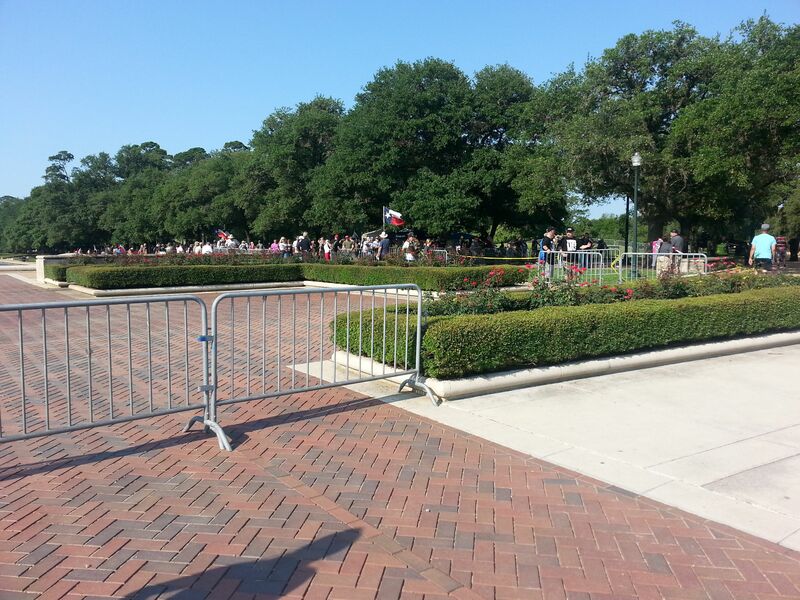 The second picture shows the extent of the line and the brown shirts (Harris County Sheriff Deputies) following behind. A lot of yelling back and forth between the groups and a friendly nazi salute and bird or two. So what's the solution HPD? Oh yea; of course! March them right out in front of the statue where they get ten times the visibility to traffic and the public.... This shot is more in the direction of the very first one, just a bit to the side, in front of the "This is Texas" camp. "This is Texas" camp descending upon a young naive white nationalist (you can't even see him.) They were told to go to their own side many times and most complied, if not HPD came and showed them the right direction. Trust me, it wouldn't have worked out as well as it did if these two groups mingled. 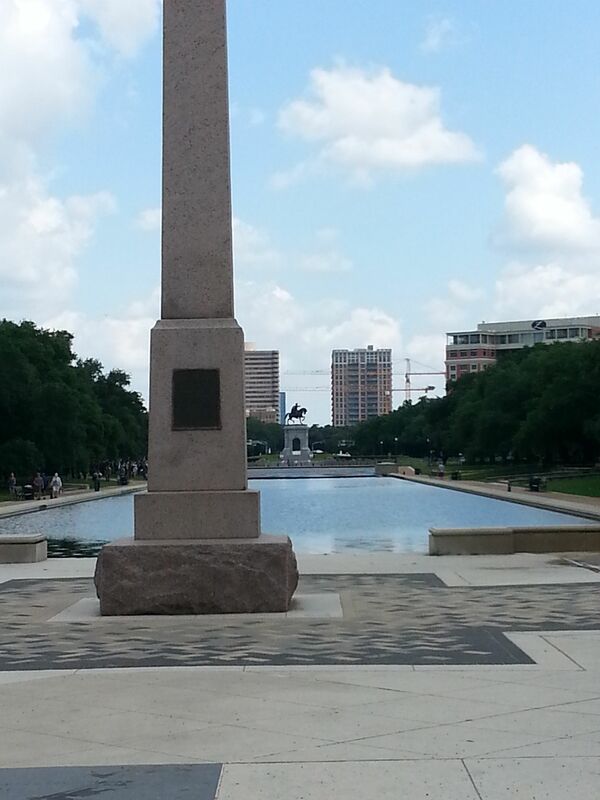 There were black speakers, black patriots, and Tejanos. I regret not taking pictures of the line to sign the petition. It was never short the whole time I was there and took me about 20 minutes to get through. I'll explain the petition in the final report. 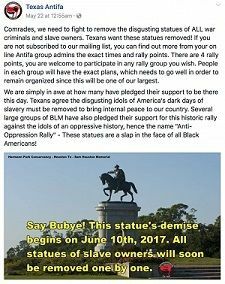 The planned protest and counter-protests at the Sam Houston Monument in Hermann Park in Houston, TX on Saturday, June 10th, 2017, was a multi-faceted water-testing operation. There were multiple factions involved and a somewhat successful dis-information campaign. In the end, it was a huge victory for Texans and the country at-large, but most people will probably never know. The originators of the entire fiasco. They were rumored to be fake by another group called Houston Antifa and it appears they were correct. Texas Antifa’s first post started it all. 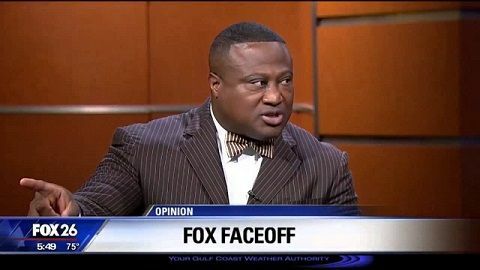 The local Black Panther leader, Quannel X, called for removing the statue on the local Fox News affiliate, but ran away with his tail tucked between his legs when it came down to show time. Started off on Facebook to get a counter-protest together, possibly set up at first by the same people who started the Texas Antifa page, but turned into an organized movement it was never intended to be. Believed, by myself, to be the instigators in everything, causing all other factions to react. Acted shifty, changed plans, directed the white nationalists around, and spread rumors at the rally. Spread all that rumor butter around for everybody immediately after the original post, then went silent until it was all done with. Just about three weeks ago I was relaxing with the local radio on. I heard a quick snippet I wasn’t really paying attention to and only heard, “wants to remove the statue of Sam Houston in Hermann park, because he was a slave owner.” That’s all it took to get fired up. The communists were now targeting my hometown and its namesake. Although I’ve distanced myself as much as possible from the city because of the complete lack of southern hospitality, raging liberalism, and staunch racism against well-to-do looking white people, there was no way I was going to stand by and let them get away with this one. Every Texan raised in the state takes a Texas history class. Every Texan knows how Sam Houston ruined his political career by sticking with his principles and not backing down by joining in on the Confederacy. 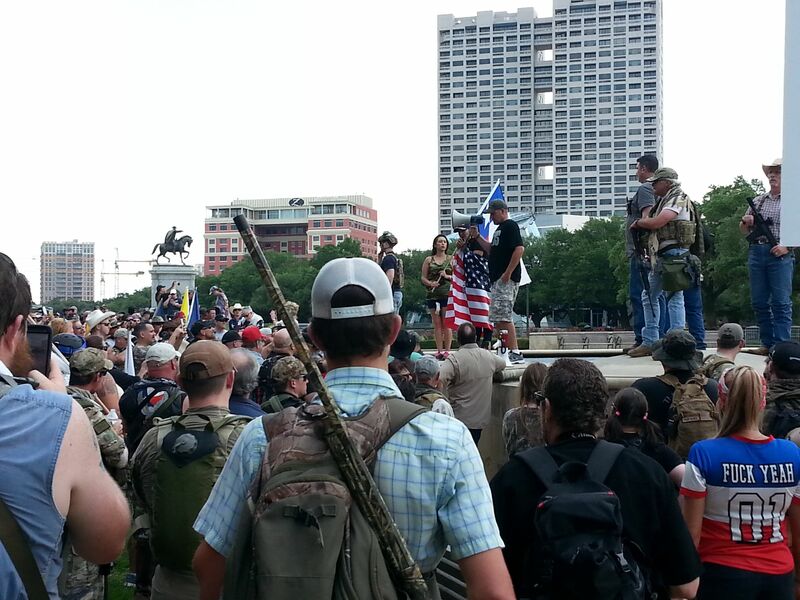 This protest was going to be a slap in the face of every true Texan, patriot, and historian everywhere. In the days after, I kept a tab on what was being talked about online and saw the first bits of the dis-information campaign brewing. 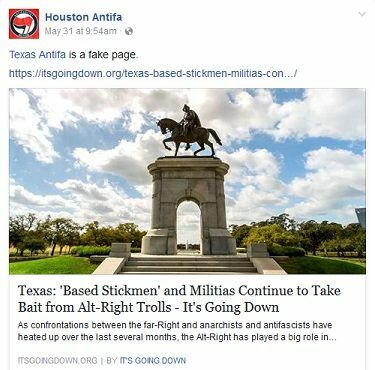 Houston Antifa was saying Texas Antifa was fake. ^1. White nationalist blogs and forums were telling their people to make fake black profiles and keep selling the blacks on going out there on June 10th. 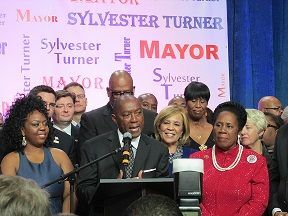 https://www.dailystormer.com/someone-please-meme-the-blacks-into-renaming-houston-no-limit-city/ The Houston Press made fun of other local news outlets for falling for a fake protest. http://www.houstonpress.com/news/houston-media-pranked-by-alt-right-facebook-trolls-9488700 The mayor of Houston, Sylvester “Friends Fall Off Boats and Swim to Spain” Turner, said about removing the monument, “It’s not even on my agenda.” http://www.click2houston.com/news/mayor-turner-responds-to-group-that-wants-to-remove-sam-houston-statue I knew then that no matter how much these actors were saying it was fake, it was not going to stop a counter-protest. There was nothing fake about it the moment the right Texans heard about it. I arrived at the parking lot about 9am. It was filling up quickly with people donning body armor, harnessing and loading all kinds of weaponry, and putting on their helmets and full cameo gear. 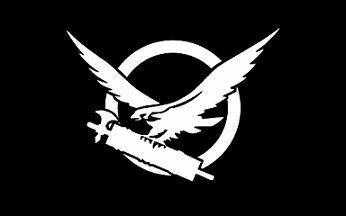 It was a tad bit overkill and ridiculous to the point where they were ”tacticalizing” themselves to the point that they couldn’t be tactical at all really, but no other faction would’ve stood a chance if it came down to it. When I got to the park not much was going on yet, so I took the train to go find something to eat. 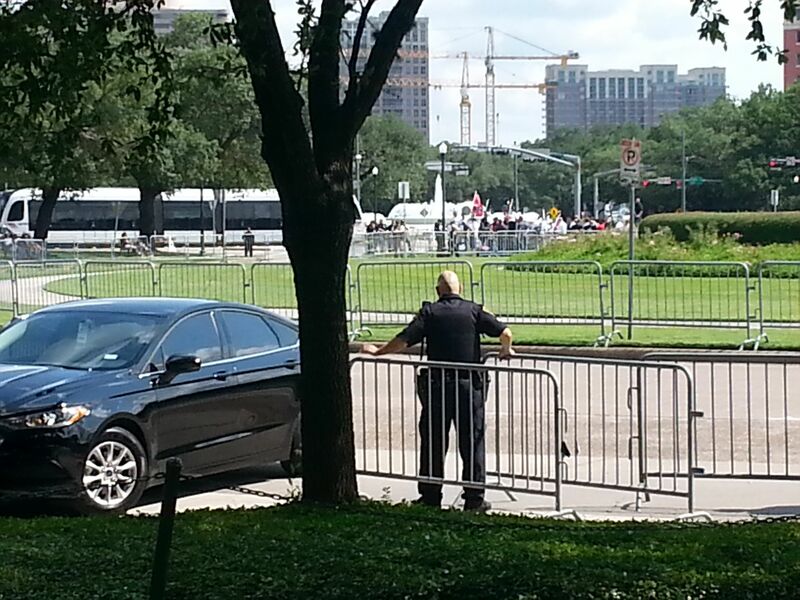 I got back by 10am just in time for the white nationalists to be mostly vetted out and grouped behind the This is Texas camp by the patrolling security team and HPD. I was a witness to the “choking incident” which you’ll read or hear about or even see on video if you look into this enough. I was not impressed by it and it’s the lowest point This is Texas went to. In the hindsight videos I’ll try to post later, supposedly the guy doing the choke hold on the white nationalist being vetted, explained himself by saying he thought the white nationalist was lunging forward at someone, which I’ll give him because it was very brief and no one was hurt once one of the other This is Texas security pulled him back. I couldn’t tell if he did indeed lunge forward, even though I was about ten feet, if that, from the incident. It was very crowded. This incident is being used to spread dis-information about the overwhelming decency most of everyone showed including the enemy. Tensions were high, things happen, but no one was seriously hurt. I really can only imagine how all of this would’ve turned out had This is Texas and the white nationalists mingled together. This was not at all about protecting the white race. It was about fighting back against an assault on a founding father of Texas. So 11am rolls around and we’re still waiting for Antifa to show up. 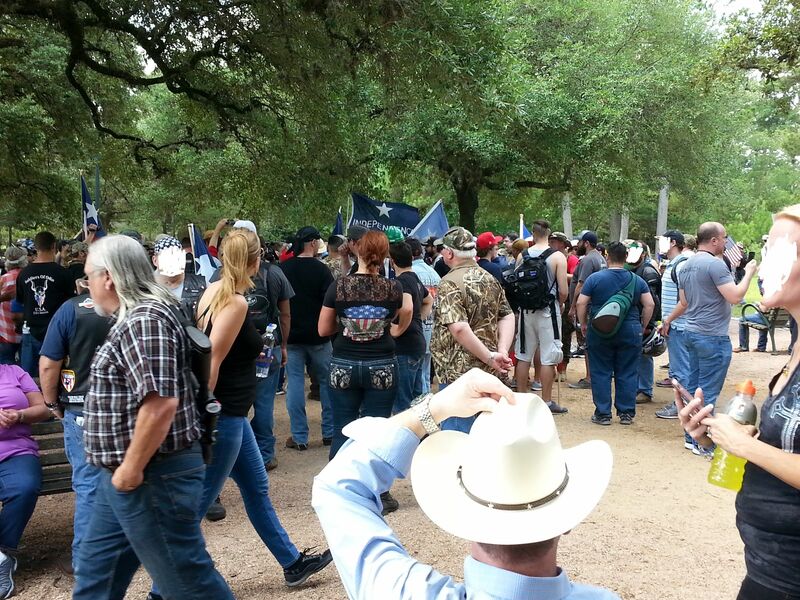 That was the time the original post by Texas Antifa said they were going to show up. Approximately 30 minutes go by and people started pointing to the traffic circle around the monument. Three or four tall shuttle bus limousines start slowly rolling by and I could see all the silhouettes in the windows looking directly at the This is Texas camp, where I was the entire time by the way. (I really have nothing to learn from or say to the white nationalists except very vulgar language) I knew someone or some important group was in those shuttles, but they just kept rolling by and never turned back. Still by noon, no Antifa had showed up on the grounds. I decided it was a good time to stand in line and sign the petition for the http://www.legis.state.tx.us/tlodocs/85R/billtext/html/HB01359I.htm and did so after waiting in line for 20 minutes. I would’ve waited hours if necessary. Soon after that the speakers started. I listened for a bit, took some photos, and then a friend of mine showed up. He has his own blog and news site and went around doing interviews. I’m hoping to be able to post those videos once everything is published. So, we made our rounds while some speeches were still going on. I’m not trying to be arrogant, but they didn’t need to rally me; I’d have stood in front of the monument even if Antifa brought panzers. 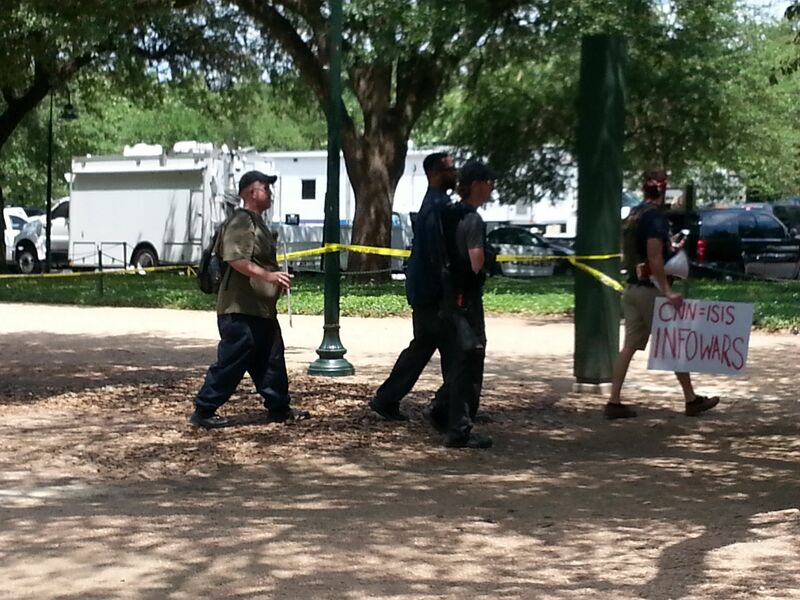 Just about 1pm while walking around with my friend doing interviews, rumors started spreading about Antifa showing up behind the This is Texas camp where the white nationalists had initially congregated and been led away by HPD. Guards and medics started running towards the Miller Outdoor Theater and parking lot. Oh, it was on! We followed the rumors to a disappointing nothing mixture of roving long barrel armed guards/security and children playing in the fountains around the obelisk. That was it for me. Antifa didn’t seem to show, the speakers were done, and the crowd was starting to dwindle. 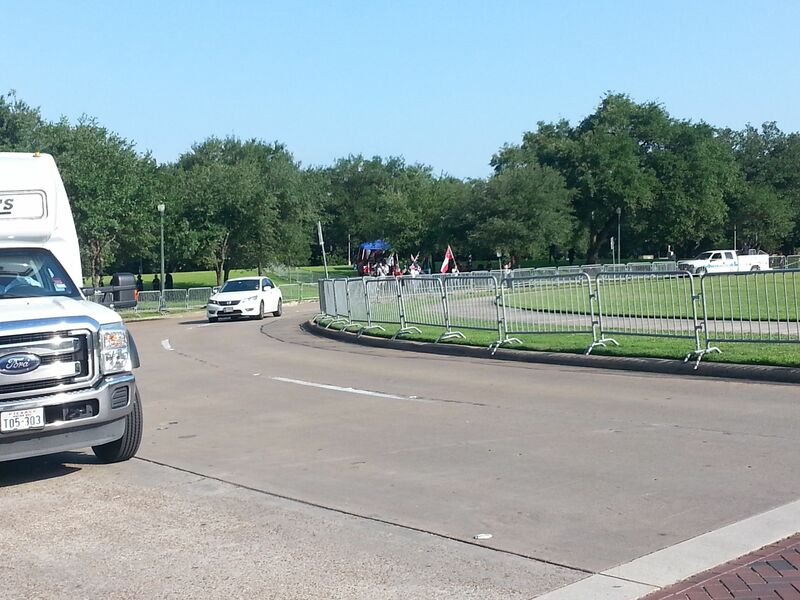 I walked away content that a show of force prevented any demonstration against Sam Houston, but not exactly sure what happened all together. I got a better picture the next day, Sunday. I wanted to report on the scene, but this protest turned out to be a lot deeper than I imagined beforehand or even the day of. Reports and information have come out since, explaining a lot more than could’ve possibly been witnessed being there in person. Supposedly, Quannel X with the Black Panther Party were in the shuttle bus limousines that slowly crept by in the traffic circle; Antifa in some form DID show up near the Miller Outdoor Theater bathrooms, but ran away once they saw how many guns there were; the guards and medics I saw running in that same direction towards the end were running to help some guy with heat stroke. 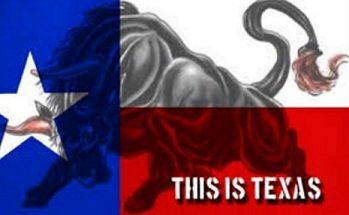 In the end, This is Texas broke through the Hegelian Dialectic by bringing order at the moment when chaos was supposed to occur and consequently no solution was required. All the enemies of truth ran scared. This video especially reminded me of the radio broadcast in the link below. My two favorite quotes from the video being, "You weren't there little boy!" pertaining to "building this country" as the Daily Stormer genius declares. And, "Just about everyone you can see will be firing at you!" pertaining to how white nationalists would be perceived by true patriots. LMAO it's turned out to be true in front of my very eyes. You have done a great service by comprehensively documenting how the various groups operate to promote agendas. Wow, just wow. Never heard that Cooper clip before. We lost a treasure when we lost him. I'm slowly posting all the Mystery Babylon series, but its slow and a lot of work.